See the forest for the trees. 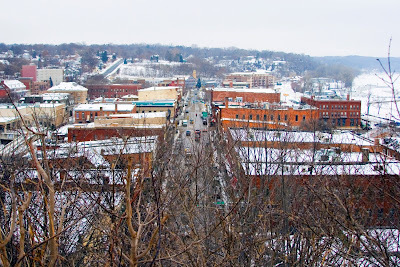 : christmas in stillwater. it's just like your wedding day or any other big event in life. there's so much excitement & anticipation leading up to it & then it's done. in the blink of an eye. just done. that makes me sad. i'm kind of understanding now, why some people start planning & prepping even BEFORE thanksgiving. . .to prolong that excitement! i don't blame them anymore. i'm sad Christmas is over, but we had a relaxing one, filled with family, good food & good health. can't ask for more. 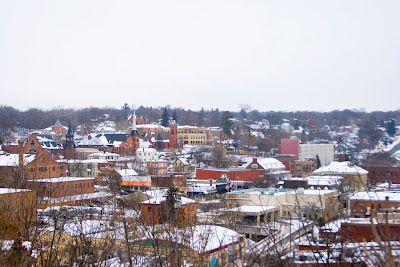 these aren't really Christmas-related, but two images i captured recently, of our little town, stillwater. i just missed it so much. it was where we came home on our wedding night, where we had our first baby & brought him home as new parents, where i first experienced being a stay-at-home mom. . .so many great memories in the city. but brian & i were talking, about how much stillwater has grown on us, 5 years later. we know shop owners by first name, & they know ours. i have my favorite antique store, cleaners, grocery store, coffee shop, restaurant to meet up for drinks with friends, not to mention the THOUSANDS of nooks & crannies to photograph in. i've established a nice network of new friends & clients here now, as have my children. we have amazing neighbors who would drop everything to help with anything. we have a neighbor that plows our driveway & sidewalks when big snows hit. he just does it. we've never asked him. amazing. we can even still hold on (a little) to our own childhood's, allowing OUR children to go outside & play BY THEMSELVES, & trust that they'll be o.k., without my own constant supervision, knowing someone in the neighborhood is always keeping an eye out if i'm not. i can NEVER get tired of driving up & down the charming tree-lined streets, drooling over all the beautiful old houses, inspired by their style & warmth. it's not the 'big city' (which is funny in & of itself, because the big city i'm referring to is minneapolis, which is small potatoes, compared to my FIRST favorite big city, chicago.) but it's home. and we're blessed to be here.